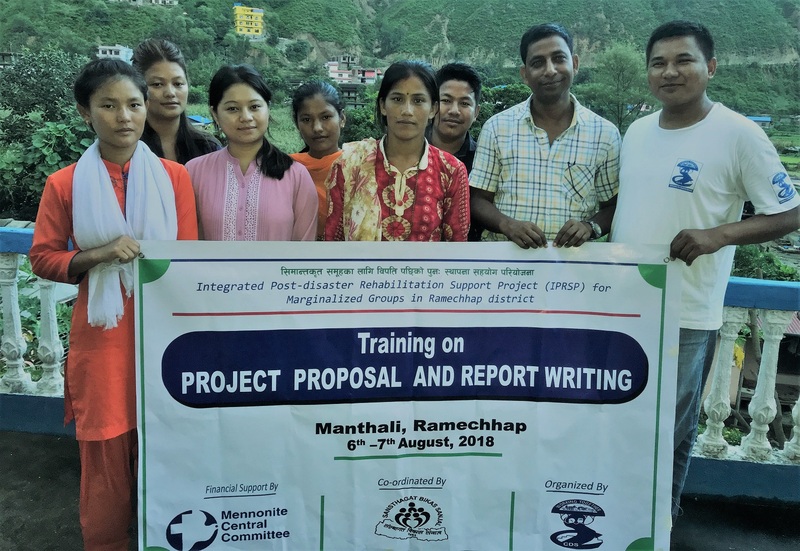 Our recent joint proposal and report writing and nutritional education training was organized from 6-10th August 2018 and took place in Manthali, Ramechhap. The staff participated in an orientation on the components of proposal writing and report writing, what enables them to take action in their community in order to develop local level projects with different line agencies. Similarly, benefiting from the nutritional education training, staffs developed awareness about the local nutritious foods, its importance and types, BMI calculation etc.. Now, the trained staff will be able to inform the community about it. The participants were very enthusiastic and satisfied. The training was facilitated by Mr. Balmiki Auji, Mr. Sanjib Sunuwar and Ms. Neera Gurung from Sansthagat Bikas Sanjal.